Dr. Barney, a physicist, has specialized in the integrated issues of sustainable development. He founded Our Task in 2006 to empower young people in the development of a mutually enhancing relationship between humans and Earth (see: www.OurTask.org). Previously he founded Millennium Institute in 1983 and led it through two decades of work on sustainable development planning in developing and industrialized countries. Earlier, he managed the preparation of the US Government’s international sustainability study, The Global 2000 Report to the President, for President Jimmy Carter. Global 2000 sold 1.5 million copies in nine languages. 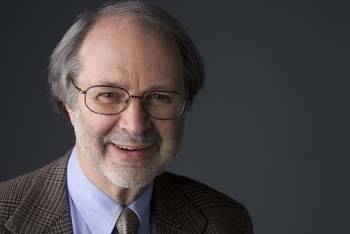 Still earlier, he managed the National Program at the Rockefeller Brothers Fund, worked with Governors Nelson Rockefeller and Russell Peterson on the Commission on Critical Choices for Americans, was a staff member of the Council on Environmental Quality, Executive Office of the President, and prepared economic studies and large scale simulations at the Center for Naval Analyses. Massachusetts Institute of Technology, Cambridge, Massachusetts. Postdoctoral research on the management of complex economic, ecologic, technologic, and social systems, 1970. University of Wisconsin, Madison, Wisconsin. Ph.D., physics (fusion energy research), 1967. Willamette University, Salem, Oregon. B.A. (Honors Program), 1961. Johann Wolfgang Goethe-Universität Frankfurt am Main, Germany. 1958-1959. Born in 1937. Married; three children. Threshold 2000: Critical Issues and Spiritual Values for a Global Age. (with Jane Blewett and Kristen R. Barney), (Grand Rapids: CoNexus Press, 1999), 150 pages. Studies for the 21st Century (with Martha J. Garrett, Jennie M. Hommel, and Kristen R. Barney), (Paris: UNESCO, 1991). Managing a Nation: The Micorcomputer Software Catalog, Second Edition, (with W. Brian Kreutzer and Martha J. Garrett), (Westview Press, 1990). Christian Theology and The Future of the Creation: Proceedings of the Holden Village Conference, December 3-7, 1989, Ed. (with Carey Burkett) (Chalan: Holden Village Press, 1990), 180 pages. Estudios del Siglo 21, Editor (with A. Alonso), Editorial LIMUSA, Mexico, DF (1988). Managing a Nation's 21st Century Study: A Handbook, (with Dr. Martha J. Garrett), Institute for 21st Century Studies, Inc. (1988). The Future of the Creation: The Central Challenge for the Church, the proceedings of a symposium, Institute for 21st Century Studies, Inc. (1986). Managing a Nation: The Software Sourcebook, (with Sheryl Wilkins), Institute for 21st Century Studies, Inc. (1986). Global 2000: Implications for Canada (with P. Freeman and C. Ulinsky), Pergamon Press (1981). The Global 2000 Report to the President: Entering the Twenty-First Century, Editor and Study Director. Three volumes, U.S. Government Printing Office (1980). Also available in Spanish, Japanese, Chinese, German, Hungarian, Italian and French. The Unfinished Agenda: The Citizen's Policy Guide to Environmental Issues, Editor and Task Force Chairman. Report of the task force sponsored by the Rockefeller Brothers Fund, Crowell Publishers (1977). “Production Functions in Threshold 21 and Their Preliminary Applications to Italy, Benin, and Cambodia”, with Weishuang Qu, published in the proceedings of the 16th International Systems Dynamics Conference, Quebec, Canada, July 1998. “The HIV/AIDS sector in Threshold 21 Malawi”, with Weishuang Qu, published in the proceedings of the 16th International Systems Dynamics Conference, Quebec, Canada, July 1998. “China Grain Model: A Tool for Education and Participatory Discussion”, with Weishuang Qu, presented and published in the proceedings of the 15th International Systems Dynamics Conference, Istanbul, Turkey, September 1997. “RMSM in Vensim: Refining the financial sector of the Threshold 21 national development model”, with Weishuang Qu, published in the proceedings of the Fourteenth International Conference of the Systems Dynamics Society in Cambridge, MA in July 1996. “The Threshold 21 Sustainable Development Model”, with Weishuang Qu, presented to and published in the proceedings of the 1995 International Systems Dynamics Conference, Tokyo, Japan. "The Global Problematique and the Seven Congresses of the 1993 Centennial of the Parliament of the World's Religions," a paper prepared for the Council for a Parliament of the World's Religions, July, 1990. "Christianity and the Future of the Earth," the guest lecture, Founders Day Convocation, Newberry College, Newberry, South Carolina, February, 1990. "The Future of the Human and Non-Human Habitat," an address presented at the symposium on the Human Habitat, Center for Ethical Development, Newberry College, Newberry, South Carolina, February, 1990. "The Global 2000 Studies," International Encyclopedia of Peace, 1986. "Global Studies and their Implications for National Security", one week course for mid- and upper-level managers, Sandia National Laboratories, 1985. "Background Considerations for National Year 2000 Studies: Some Reflections on the Global Future," invited lecture, meeting of leaders of national year 2000 studies, Mexico City, 1985. "Reflections on the Future of the World," lecture to senior staff, Defense Communications Agency, 1984. "The Future of the Creation: The Central Challenge for Theologians," Word and World, Fall, 1984. "Rural Development and Global Trends: Perspectives for the 1900-2010 Period." (With Jennifer Robinson), a report prepared for the U.S. Agency for International Development, (1983). "Reactions to Report of the Government of the Federal Republic of Germany on the Global 2000 Report and the Problems Noted Therein,'" a lecture presented on June 11, 1982 at the University of Essen, Federal Republic of Germany. "The Global 2000 Report and its Implications for the United States." Paper prepared for the U.N. University Symposium on Energy and Agricultural Futures: Policy Implications of Global Models, Paris, France (1982). "Improving the Government's Capacity to Analyze and Predict Conditions and Trends of Global Populations, Resources, and Environment," a report prepared for the Council on Environmental Quality, Executive Office of the President, Washington, D.C. (1982). "Foresight in the Federal Government: Perspective from the Experience of Directing the Global 2000 Study," testimony presented before the Subcommittee on Oversight and Investigations and the Subcommittee on Energy, Conservation and Power, Committee on Energy and Commerce, U.S. House of Representatives (1981). "World Agricultural Developments: Future Implications for U.S. Farmers," (with P. A. Maimon), The New Farm, July/Aug. 1983, pp. 24-46. "Policy Oriented Research Possibilities on Topics Relating to the Economic and Other Consequences of Technological Change," (with Jennifer Robinson), a report prepared for the Canadian National Research council (1982). "Actions to Respond to the Challenges Posed by The Limits to Growth," paper for the conference Creating the Future: The Limits to Growth and Beyond (1982). "The U.S. Global 2000 Report to the President: Implications for Japan," Kajima Foundation Seminar, Tokyo (1981). "The Environmental Agenda Project," Environmental Agenda Symposium, Caucus Room, U.S. House of Representatives, Washington, D.C. (1977). "Global Resource Problems and National Security," Senior Seminar, Central Intelligence Agency, Arlington, Virginia (1977). "Resource and Populations Problems as Causes of International Conflict," a lecture at the National War College, Washington, D.C. (1976). "Global Interactions of Economics, Food, Resources and Population," a lecture at the National War College, Washington, D.C. (1976). "Limits to Growth and National Security," a lecture at the National War College, Washington, D.C. (1974). "Understanding Urban Dynamics" in Readings in Urban Dynamics, Nathaniel J. Mass, ed., Wright Allen Press, Cambridge, Mass. (1974). "Manpower for Environmental Action," with M. S. Baram, Technology Review (1971). Several reports and articles related to the relative strength of U.S. and Soviet strategic and conventional forces. Several technical papers and lectures related to fusion energy research.